Lehsuni means flavored with garlic and this can be done with any kind or combination of lentils. 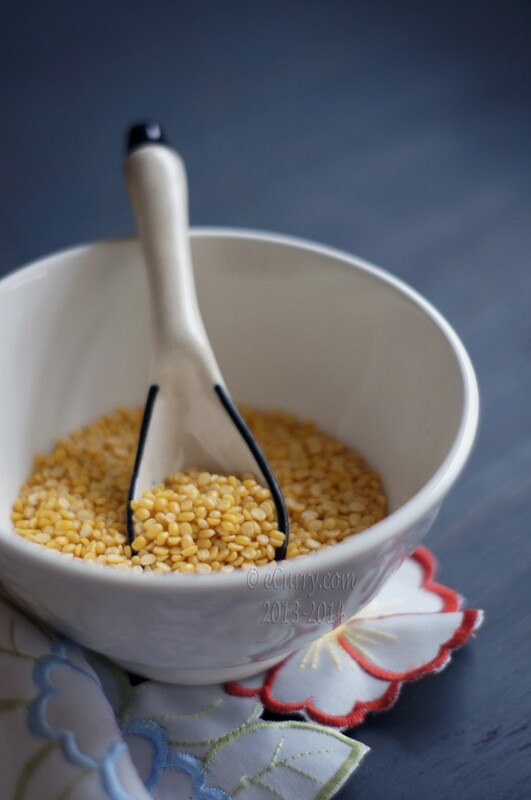 The popular ones that are used for this dish are masoor (red lentils), and also sometimes yellow mung/moong/de-husked yellow lentils, toor/tuvar/arhar/split pigeon peas and in combination with chana dal/or the split Bengal grams. With each kind of lentils the flavors will change a tiny bit, but the strongest aroma as you might have guessed is of garlic here. 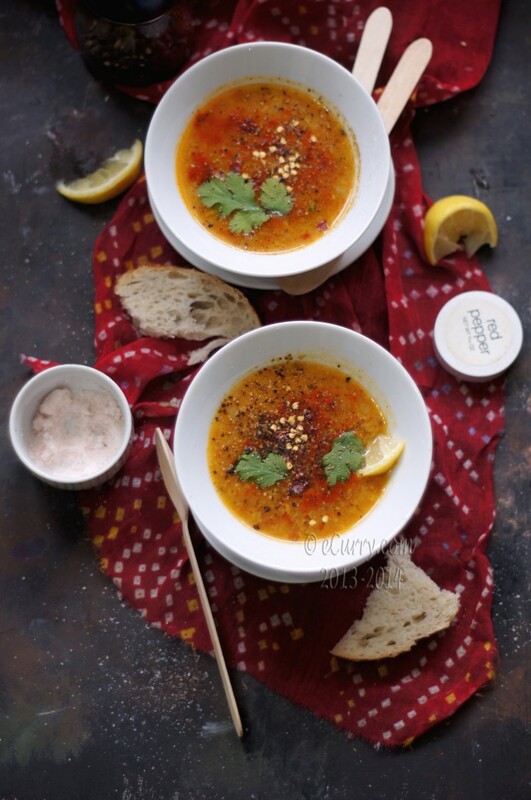 The Lehsuni Dal is perfect when there is a little bit of chill outside, just like it is now. 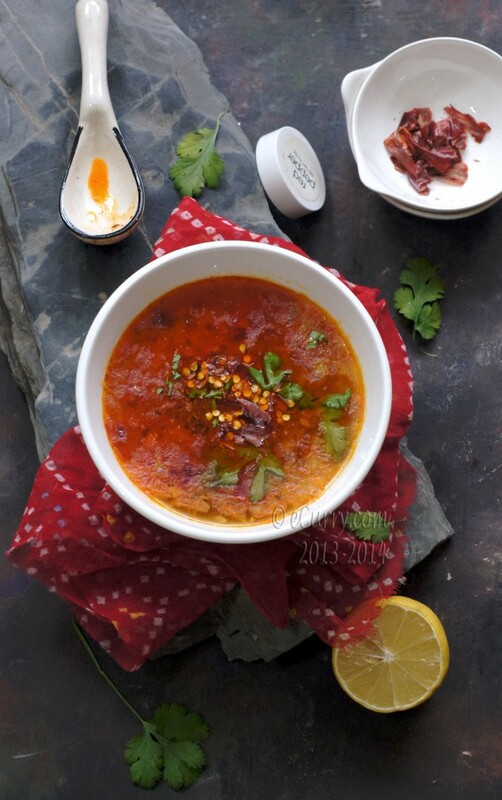 It is cooked as one would cook meat, slowly braising the lentils with the spice mix and the garlic paste. The spices and the flavors of garlic make a simple meal unforgettable. 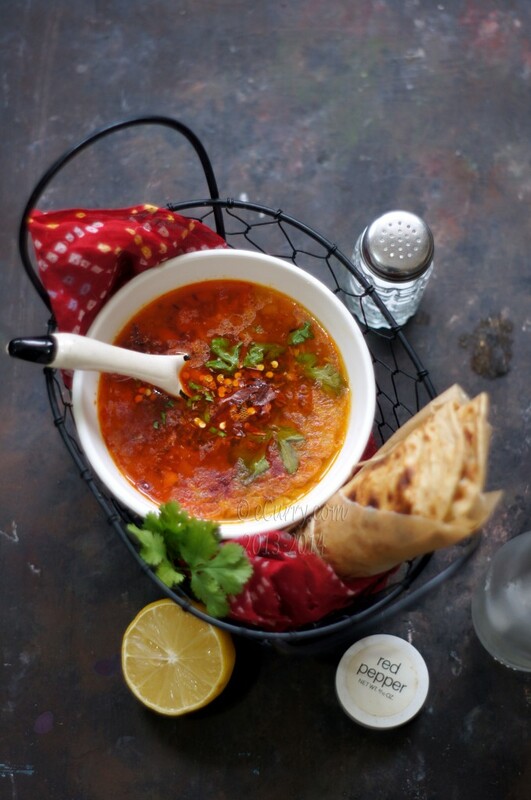 The dal is best relished with flatbread/or any rustic bread or served over hot rice. A and me moved to this country just as we had stepped in our twenties, with only two small suitcases filled with few clothes, two binders containing the college certificates and our dreams. What we had not got with us was a pressure cooker. We had packed one, but due to some change of plans during the last hours of our departure from home, we had to leave behind more than half of our baggage. We made our journey to begin a new life with only as much as one would need to camp for a few weeks. After a few days in our new kitchen, I knew we could not go very far without a pressure cooker. I was a novice cook. I was used to the pressure cooker and I did not have one. Far away from home, we wanted to get closer to home-cooked meals. Fortunately a couple of months later, I met another girl, who just like us had just moved and also got her pressure cooker. And she happened to live just few doors beyond ours. I borrowed hers whenever I needed one, until I had one of my own. Eighteen years back, and I can still see ourselves running back and forth with food and the cooker. The acquaintance blossomed to a strong, powerful friendship to last for a lifetime. Monica, thank you; not just for the pressure cooker, but for your friendship, and for all those days we spent together. Love you always! Pressure Cooker is one thing that every single home in India has in common. Food, clothes, language, customs and traditions are all diverse. 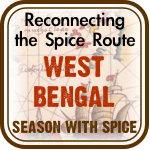 Even the spice box will be adorned with a variety of spices in separate corners of India. But pressure cooker is one gadget that every single home will have. Not just one, but different kinds in different sizes. They form the center piece of the kitchen and speak the language that binds all kitchens in India in a symphony. Dal, the ubiquitous food of India, is almost always cooked in a pressure cooker. Eggs and vegetables are boiled and steamed in a cooker too. So is rice, meat, curries and a lot of time many desserts. Many decades back, my maa would bake cakes in the pressure cooker. Besides cooking faster than the “simmering in the pot” way, the pressure cooking also seals in the flavors quite well. In India, a child is used to going to sleep while the pressure cooker hisses. They know by instinct that this is a part of home. (that does not mean we do not sing lullabies to our children). What I am trying to say is that no Indian, not even a kid will jump in shock and surprise when that whistle of the cooker goes off emitting the delicious aroma of whatever is cooking inside it. We only pay attention to the aroma that hangs around the air while the pressure cooker hisses or whistles. Pressure cookers, like jewelry, porcelain, furniture and recipe are handed down from one generation to another. I have a thirty year old cooker which gave up its life last week. They are not really handed down like treasures; more like a basic tool to start a home, or assist with a move. Or simply because, “…here you go, this one works well, you can take it…” kind of way. So when last week the last of my cooker died on me, I was frantic. I got edgy, peeking inside of the pot of black eyed pea the one hundredth time, waiting for it to be done. It seemed like it took for ever. I waited impatiently and then I picked up the potato masher and started mashing up the beans wanting them to cook faster. I do not remember spending more than two days without a pressure cooker (except for the first couple of months I mentioned above). A week was a very long time. The feeling of helplessness is quite hard to explain to those who have not used one in the kitchen. It is like being in the kitchen without a knife. I tracked my order in Amazon every hour. I had gone over a few websites and reviews and opinions from friends and decided on the newer version of the Indian Pressure Cookers. I grew up with Hawkins and Prestige. Futura is a newer model of the Hawkins. Well there are many misconceptions about pressure cookers not being safe. But they only as dangerous as any other tool in the kitchen. If they are handled as they should be, and maintained well, they go a long way, and will be a trusted and faithful friend for many years to come. They are unsafe if they are misused and not cared for. (read Jaya’s Post about Indian Pressure Cookers). * Note: I like using fresh tomatoes here and grating it as opposed to canned puree. The texture of grated tomato is close to puree but a bit more coarse and it adds a beautiful texture to any recipe. Use a box grater on a plate, grate the tomatoes as close to the skin as you can. Pour out the tomatoes when you are ready to use them in the pan, including the leftover skin. Of you may discard skin/peel if you do not want to use them. 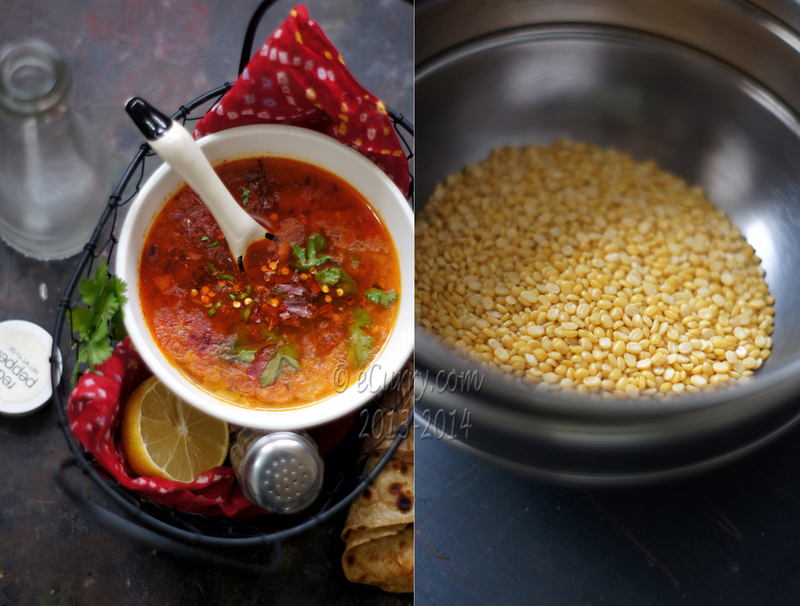 (There are two ways to make the dal. The traditional way would be to first cook the dal with salt and turmeric and then simmer the cooked dal/lentils with the spice mix, onions and tomatoes and the rest of it. I make it at one go; braise the uncooked lentils with the spice mix and then cook everything together. 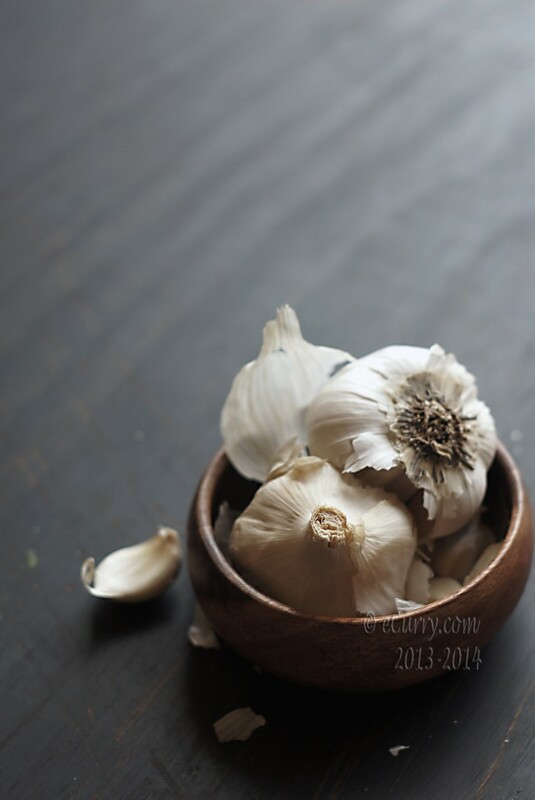 It saves me time and the flavors of the spices and the garlic infuses better. If you are making it, do it the way you are comfortable with). Wash lentils/dal in few changes of water until the water runs clear. Keep the lentils soaked in clean water until you are ready to use. Combine grated tomatoes, chili garlic paste, salt and turmeric in non reactive bowl. Heat ghee/oil in the pressure cooker (or a heavy bottomed pot if not using the pressure cooker). When the oil shimmers, add the red dry chili pepper or the crushed pepper, cloves, cumin seeds and hing. When the cumin starts to sizzle, add the coarsely ground black pepper and the onions. Cook at medium heat until the onions soften and start to brown at the edges. Now strain out the water and add the lentils to the onions. Add the mix of the grated tomatoes and garlic. Cook at medium to low heat, stirring frequently, until the tomatoes and the spice mix coat the lentils and the ghee/oil starts separating and leaving the sides of the cooker or the pot, about 10-12 minutes. Now add the ginger, give it a stir and add the warm water. Stir everything together and close the cooker; cook until done (follow instructions). It will take about 12-15 minutes in the pressure cooker (time will vary with each cooker). If you are not using a pressure cooker, cover the pot and cook until the lentils are tender. If you want the dal less soupy, simmer for a little bit longer until you have the desired consistency. We have it soupy if we are having with rice and a thick enough to coat a spoon, if we are having with bread/flatbread. Sprinkle some chili powder on the dal. Heat ghee in a small pan and when the ghee is really hot pour the ghee on the dal. If you are using the sliced garlic, brown the garlic in the ghee and then pour the garlic and ghee on the dal. Gently stir and garnish with fresh coriander leaves and drizzle of lemon. Well I did cook the Lehsuni Dal in the Indian pressure cooker and it did not blow up in my face! A beautiful dal. I love verything about this dish. I have a futura pressure cooker and I love it too much! So glad the cooker did not blow up in your face. 🙂 Love lehsuni moong dal. 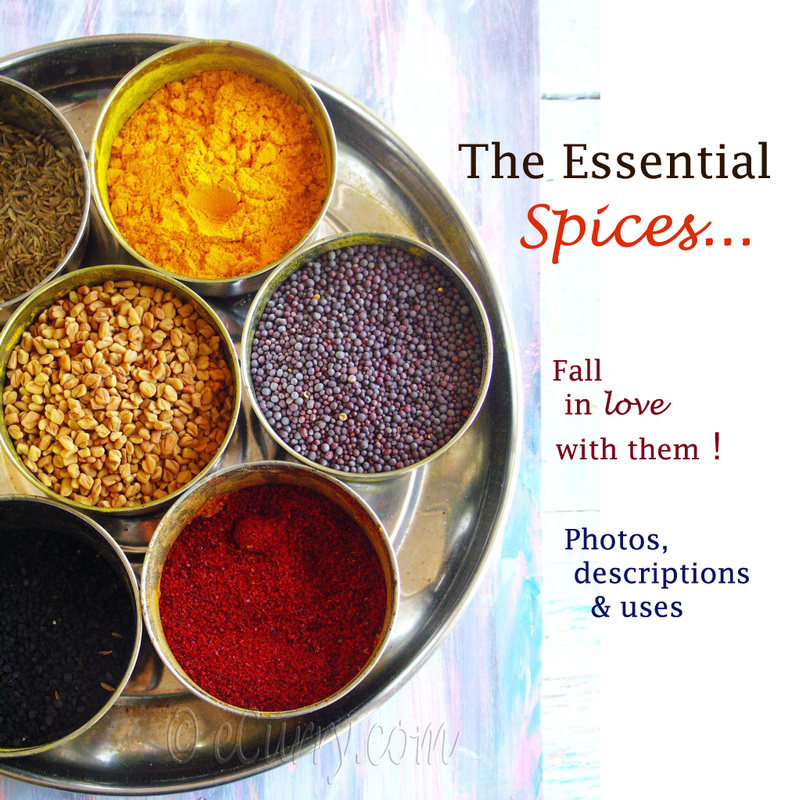 This is what I used to give A as a toddler of course minus the spice. It was a gorgeous day today but the air has turned nippy. 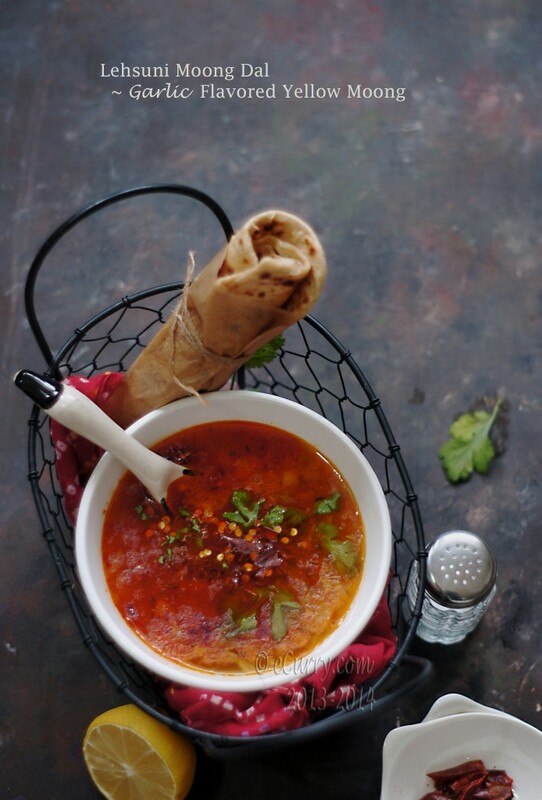 I think I will make some of this lehsuni dal for dinner tonight. BTW, loved your story about pc borrowing story from your neighbor. Pressure cooker is a very important tool in Colombian cuisine….That was one my moms wedding gift…She told me I can’t get marry if I didn’t have a pressure cooker :)Delicious,Soma! I seldom cook dal on my pressure cooker but frequently use for other cooking. Without one I’ll be in my kitchen fore ever. Many a times to save myself from washing the container I do it at a one go …soja choNk lagiye boshiyedi..Enjoy your new cooker with lts of yummy dishes..Dal looks stunning and you know na how much I like garlic ! Beautiful pictures, Soma! And I love that a pressure cooker is behind the precious bond with your friend, Monica! Daal really looks amazingly Yummy. Loved the pictures, very nice. Thanks for the recipe, tried tonight for dinner – tasty, awesome flavor with steamed rice. After years of frequent loose rubber rings and even looser handles I gave up on Hawkins and Prestige cookers and went in for a Scanpan and am loving it. Can’t survive without a pressure cooker. The dal looks so delicious. 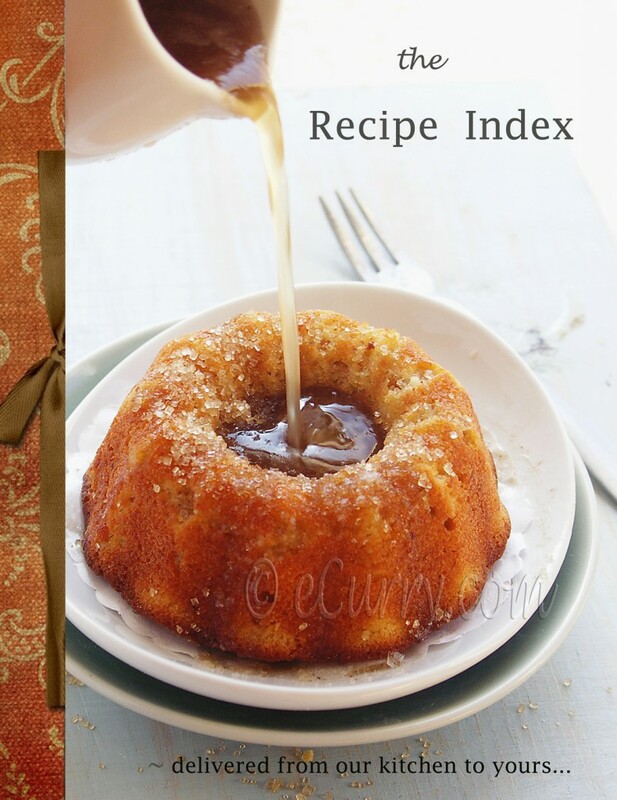 Warming recipe and such a cute pressure cooker! I used to be afraid of them as well. Nice Pressure cooker. loved the color of the dal. 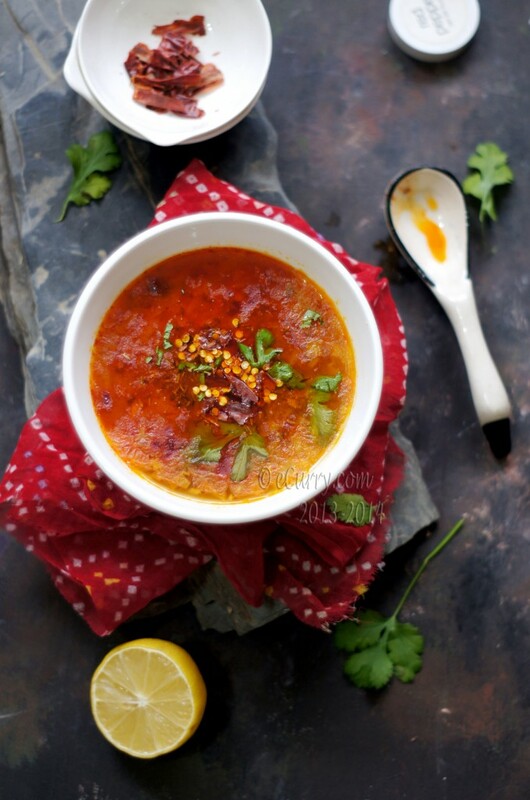 this simple daal couldnt look any prettier! 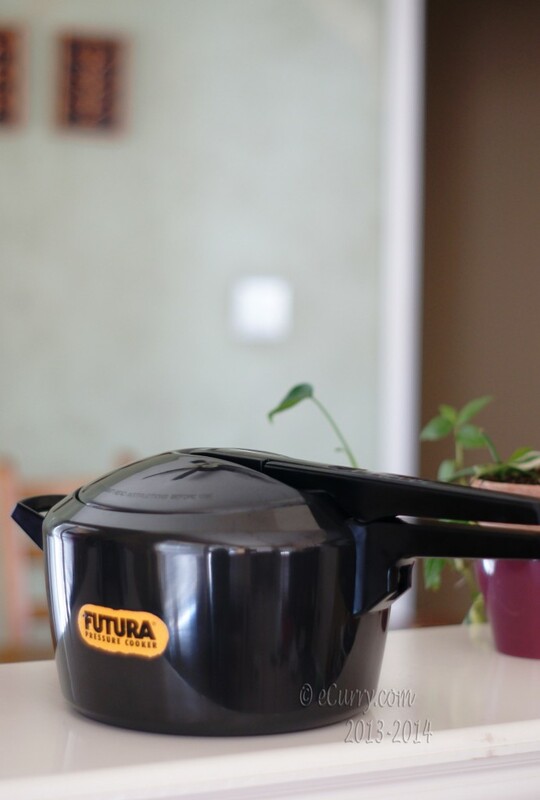 I took your pressure cooker advice to heart and ordered the 4-quart Futura. I live alone and have to make small batches, but I love dal and want to be sure there is plenty of room for froth. This is the only recipe I know of that gives pressure cooker instructions–please, what other recipes do you make in it? Chicken, lamb, etc.? I’m fine with plain vegetables in it, but how do I know when to add the different ingredients as you spell out in this recipe? All dal recipes can be made in the pressure cooker. The usual procedure is to first cook/boil the lentils (after washing the lentils thoroughly) in the pressure cooker with turmeric where it asks for it and may be salt. If I am boiling the lentils first, I usually use an insert (another bowl or container usually stainless steel, or whatever kind is safe in the pressure cooker) to boil it. This way the cooker does not get dirty and you wash only the insert. 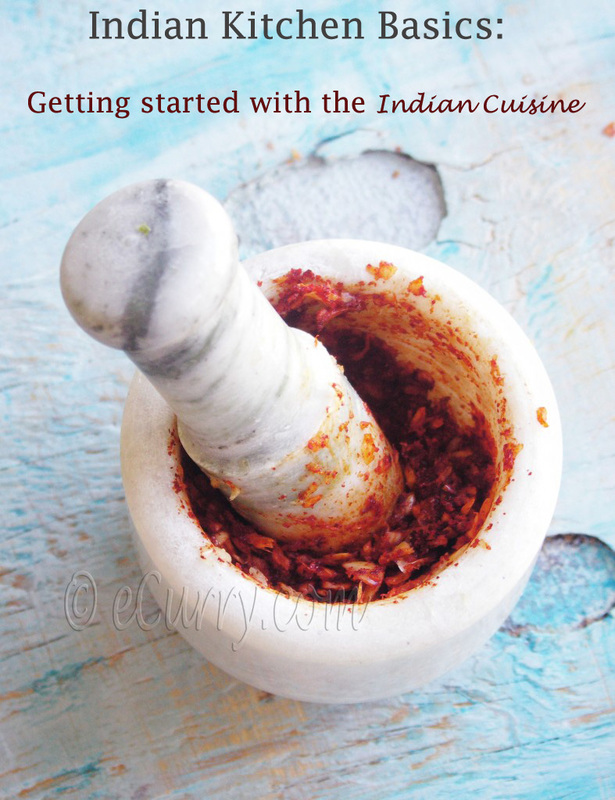 Then do the tempering part in another pot and pan… like heat oil, add spices and onions and whatever it requires, and then add the cooked dal. But these days to save time and also to reduce washing and cooking time, I cook dal like in this recipe; first do the seasoning and then cook it all together at one go straight in the pressure cooker. If you are cooking meat, and it is in a quantity that will fit in the pressure cooker (after cooked), you can straight away use the pressure cooker to cook right from the beginning; braising, mixing spices or whatever you want to do before you finally close the lid (if you are cooking in a pot). add the meat and the liquid – water or stock, give it a stir and pressure cook. Basically do whatever you would want to do in a pot in the cooker and just like you would close the lid of the pot and cook, close the pressure cooker and get it cooked in less time. The same process goes for any recipes, vegetarian or non vegetarian. If you feel that the space in the pressure cooker is constraining your cooking (like if you would need more space to braise and stir the meat etc), you can do it in another pan and then transfer everything in the Pressure cooker to cook the final round. If you are cooking dried beans, like chick peas etc, soak the dried beans overnight and then add required amount of water in the cooker and boil them. Cooking soaked chickpeas would take less than 30 minutes in a pressure cooker. 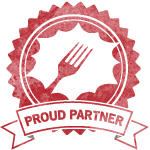 Not sure if you already have the cooker delivered, but you will probably get 2 booklets with recipes in the box. That will help you too with the process. They have a lot more non-Indian recipes too. I made this last night. It really was good. I was worried it would be too hot so I substituted 1 TBSP of crushed fresh garlic for the 2 TBSP of garlic chili paste. The pressure cooker made cooking this fairly quick. great recipe.. thanks a lot. These recipes look delicious! Unfortunately, we no longer have a pressure cooker, although I am considering investing in a stove-top version in the future. I would appreciate any helpful hints on how these recipes could be made without the use of a pressure-cooker in the meantime. This can definitely be made without a pressure cooker. Only it will take longer. Follow the same procedure and instead of pressure cooking it, cook everything together in a covered pot/or a slow cooker until the lentils are tender and mush between fingers. I made this a few days ago and it was lovely. I doubled the recipe so there were plenty of leftovers! It came out a little too spicy-hot, so I won’t add as much red pepper next time. I am asking for a pressure cooker for Christmas this year. Fingers crossed!